Sound Columns There are 2 products. 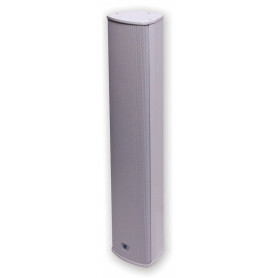 These stylish, compact column speakers utilise multiple 3.5” (89mm) woofers and high power dome tweeters to produce superb clarity for both music and speech applications. Ideally suited for use in lecture theatres, auditoriums, gymnasiums and school assembly areas. Their IP66 weatherproof construction makes them also suitable for installations in exposed areas, such as train platforms & pedestrian precincts. 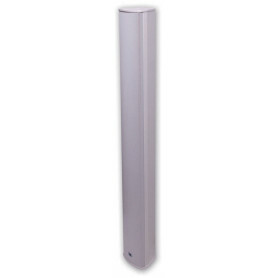 These sound column speakers will provide excellent all-round performance while remaining architecturally unobtrusive.